Electromagnetic buzzers are another type of popular buzzers, they’re operated at relatively lower voltage and are of smaller size than piezo buzzers. A magnetic buzzer circuit is usually found in low voltage devices, like in clocks or as microcontroller buzzers, though there is no rule of such. They can make reasonably loud sound at as low as 1.5 Volt ! There are two types of magnetic buzzers, expensive self drive types with inbuilt oscillator, and cheap external drive types, which you can drive in different ways. In this project we’re going to use the external drive magnetic buzzers. This circuit requires only two semiconductor components and one resistor, very neat design. The melody generator IC UM66T or BT66T comes in various packaging, but the three terminal TO-92 package is most common, looks exactly like a small transistor. The UM66T IC needs around 3V for normal operation, though it’s written on it’s datasheet that it can withstand 4.5V, but in reality it can’t ! So you’ve to take care of the voltage across the pin 2 and pin 3 of UM66T, and the rest is easy. 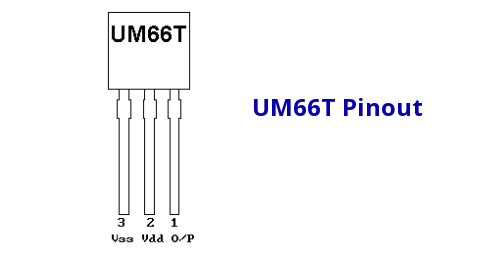 The output of UM66T is directly connected to base of the transistor, no extra resistor is needed. Make sure to connect the +ve terminal of the buzzer to battery positive and -ve terminal to the BC548 transistor’s collector. As this magnetic buzzer circuit is very simple, you can make it as you wish, I decided to build it by soldering components to each other. 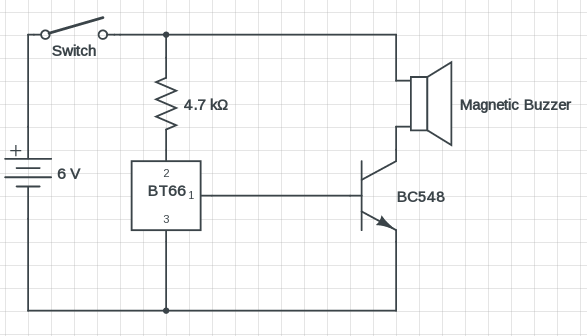 I’m using a different type of UM66T based IC here, but does exactly the same thing. My prototype running on a single Li-Ion 18650 cell and making a considerably loud alert sound, more than I ever expected. 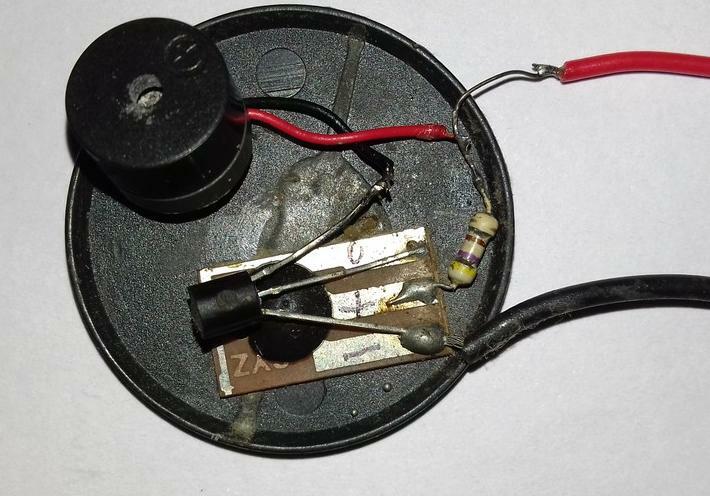 A little heating of the buzzer and transistor is normal, specially if yo’re running it with a higher voltage supply. So here is your simple magnetic buzzer ready, you can easily convert it to a piezo buzzer circuit just by adding a coil and piezo element. I’ll show you that in a upcoming tutorial, stay connected. If you have any question or suggestion, just drop a comment, also share this tutorial if you like it.